While a large portion of the country is snacking on pot brownies, the debate about marijuana laws continues. However, the dispute regarding health concerns seems to be giving way to discussions focused on regulation. 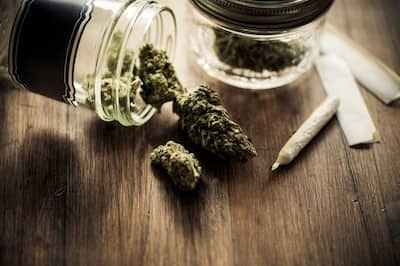 Currently, 23 states and the District of Columbia allow use of medical marijuana, 20 states have passed laws decriminalizing small amounts of possession, and four states (Washington, Oregon, Colorado and Alaska) plus District of Columbia have passed laws allowing recreational use of the drug. California led the way in 1996 when voters passed Proposition 215, allowing for the medical use of marijuana. In 2016, there are decriminalization bills going through the legislative practice in 10 other states (Arizona, Hawaii, Iowa, Illinois, Michigan, New Hampshire, South Carolina, Tennessee, Virginia and Wyoming). While states are making their own laws, at the federal level, marijuana continues to be classified as a dangerous Schedule I substance. This makes distribution and sale of marijuana a federal offense. Under federal law, possessing marijuana can get you up to one year in jail and a minimum fine of $1,000 for a first offense. Distribution of a small amount, for no compensation, is treated as possession. In 2009, an Obama Administration memo was sent to federal prosecutors urging them not to prosecute people who distribute marijuana for medical purposes in accordance with state law. Will smoking pot come off our list before sparklers? 0 Responses to "3. Marijuana"